In order to make your garbage collection and disposal business profitable, you need to make smart investments and decisions. Small reductions in cost and effective operations and maintenance can go a long way in increasing your profitability spread. While many garbage disposal business operators try to reduce cost by eliminating certain processes, it can lead to reduced performance. Instead, buying a used garbage collection truck can be a better idea. Determine your requirements – Before you go out looking for the right garbage truck for your business, it is important to decide what type of truck you need. Based on your garbage collection requirements, determine the variant, size and tipper style you want. This will help you search for the most suitable used garbage truck for your business. Fix a budget – Have a tentative budget in your mind before you start your search for used garbage trucks. This will help you find the best truck for your investment. Choose a reliable seller – Just because you are buying a used refuse vehicle, it does not mean that you should buy the cheapest one. Always consider buying a vehicle from a seller that that a reliable reputation and can offer a variety of options for you to choose from. Go through the vehicle’s health report – Before you finalize a vehicle, carefully go through the health assessment report from the seller. This report would feature information that can help you decide upon the right price to pay for the vehicle, and the budget required to make the necessary repairs and parts replacement. How to maintain a used garbage truck? 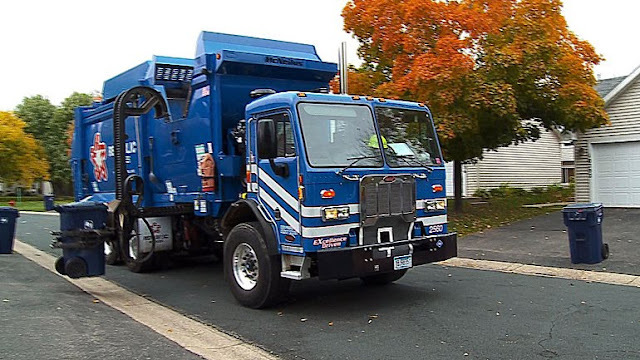 Contrary to the common opinion, used garbage trucks do not require extra maintenance compared to new vehicles. With regular servicing and timely repairs, you can enjoy lasting performance and great efficiency from your investment in a second-hand refuse collection vehicle. When buying a garbage truck, make sure that you ask your seller about the right way to operate it, and the functionality that it offers. Ask them to provide proper training to your operators and drivers so that they can take care of the vehicle on a daily basis. It is a smart idea to provide basic mechanical training to your staff so that they can undertake armature or tipper maintenance on a regular basis. This will help avoid any sudden failures and breakdowns in your truck’s functionality. Similar to a new vehicle, keep an eye on the engine performance of your used truck. Get it serviced regularly, and make sure that you get the tires changed at regular intervals based on how much they are used. This way, your truck will perform well for many years, and still fetch a decent amount if you choose to sell it back in future.